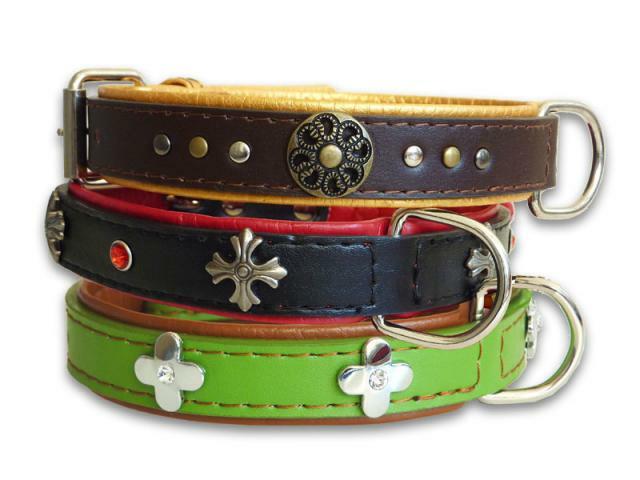 Fashionable ornament decorated designer pet collars. Top surface made using quality genuine leather, with faux fur lining to provide soft cushioning feel. Available in three designs.